Warri City is the main business hub of Delta State and one of the most visited cities in Nigeria and it is the root of the finest comic talents in Nigeria and home to the best hotels for travelers and tourist in Delta State. The best hotels in Warri offer deluxe accommodation and relaxation services which will make your stay a memorable one. So if you are a tourist or intending visitor of the city, then you need to follow our guide. Here we have highlighted the 10 Best Hotels in Warri which are known for their exquisite hospitality and customer care services. Located at Km 3 Nigerian Port Authority (N.P.A) Expressway, Ekpan, Warri, Delta State. Bon Hotel Delta is also referred to as the pride of the Delta state because of its deluxe accommodation and professional customer service. 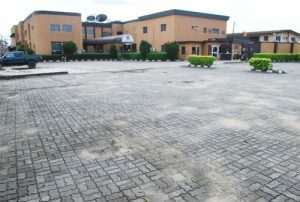 Bon hotel Delta is a mere15 minute drive to Shell Osubi airport. The hotel is a safe haven for all business travelers and visitors to Warri city and the south-south region at large and it is currently regarded as the best hotel in Warri because of its consistency in rendering only top quality hospitality services. It is situated along D.S.C expressway, by Mofor junction, on the federal highway (Leading to D.S.C steel company Aladja). 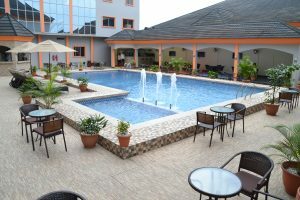 This Hotel has got one of the best swinmming pools in Warri and has remained one of the most patronized hotels in Warri. Warri Wetland Hotel has been used to host several events and it is quite popular for its luxurous facilities. 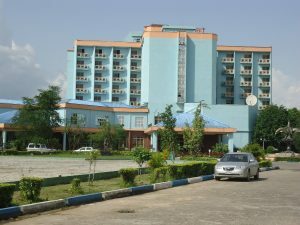 it is regarded as one of the best hotels in Warri. It has been the brand name of hospitality in Warri for a long time and it is located at 17 Effurun/Ughelli Expressway, Delta state. Professionally trained security personnel are on the ground to ensure the safety of lives and properties. Wellington Hotel is easily described as one of the best hotels in Warri so it sits confortable at position three as one of the best 10 hotels in Warri. Lodging and accommodation services at pocket-friendly prices. BB Hotel is situated at 32-34 Deco road, Warri, Delta state. Breakfast is served daily at a surcharge, it’s an onsite restaurant that serves local and continental dishes and variety of drinks. Self-catering is also available, the hotel features, CCTV security cameras are installed on the premises. 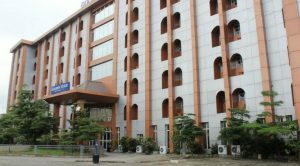 BB Hotels made the list of the 10 best hotels in warri because of its location and its unique hospitality services it offers. It is located at Army checkpoint, Okpe, Osubi, Warri. It has an onsite restaurant that serves local and continental dishes. Airport pickup, car hire, and laundry services are provided at a surcharge. Because of its location and great hospitality, the hotel is regarded as one of the best hotels in Warri. Offers free WIFI internet service. 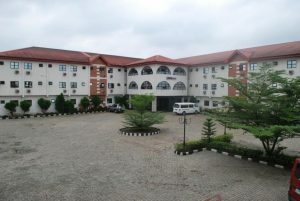 This hotel is situated at KM 1 Osubi Eku road, Osubi, Warri. Airport pickup and car hire services are available upon request. The hotel premises are guarded by security personnel and onsite parking is available. 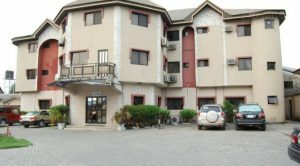 Lawfab Hotel and Suite from its inception has always had a high reputation for standard hospitality services and it located in a very serene environment and it is regarded as one the ten best hotels in Warri. 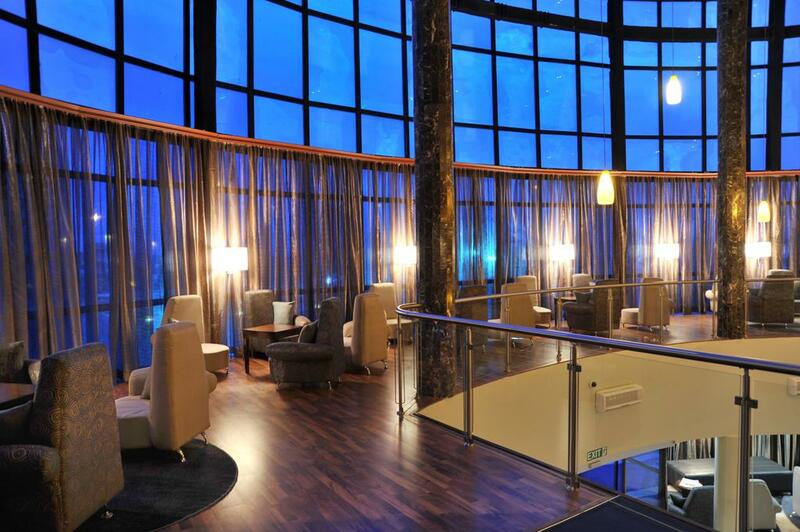 Provides a variety of meals through its on-site restaurant and drinks can be enjoyed at the bar. Self-catering facilities are offered to guests at a surcharge. This Hotel is located along No. 11, Heartland way, Effurun Warri, Delta-state. The onsite restaurant serves menu and buffet option. The Hotel also features snooker bar, a live band performance every weekend and a conference hall seating over 100 persons, on-site parking is also available. 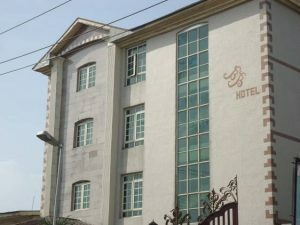 Heartland Hotel has been around for a long time and its standard hasn’t depreciated over the years which goes to show that the management of the hotel are doing fine job and this is the reason why it is on our list of the best ten hotels in Warri. Luxuriously furnished and fully equipped. Golden Tulip is located along PTI junction, Warri and has quite a peaceful natural atmosphere to keep you relaxed and away from the troubles of the world. Airport shuttle, car hire, money exchange and business services are provided, parking facilities are available and security personnel patrols the premises. Golden Tulip is strategically located along PTI junction and is used by different companies and private individual as well. Golden Tulip is one of the ten best hotels in Warri because of luxurious facilities and patronage by tourists and visitors alike. This Hotel is situated at Plot 67 Hospital/Jakpa Road, Warri. It is affordable with a great deal of comfort. Canewood Hotel Warri features an onsite restaurant that provides a variety of meals for breakfast, Lunch, and dinner. 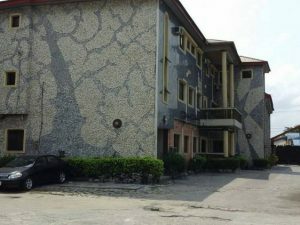 Canewood Hotel has always been up there with the best hotels in warri because of the fine hospitality services it has been rendering for several years now and so it easily made our list of the 10 best hotels in Warri. This hotel is located at KM 6 NPA expressway, Ekpan, Warri. The Hotel offers clean and comfortable air-conditioned rooms. Cypran Hotel has always been around for a long time and has always improved in its services and their prices are quite affordable. It is regarded as one of the oldest hotels that has been consistent with its hospitality and quality services so it is regarded as one of the best hotels in Warri. Onsite restaurant; serves local, continental and Chinese dishes. There are several hotels in Warri which offer great hospitality services but the which are hotels mentioned in this article are known to be the most visited Hotels in Warri. Nicely written. Wanted to see more hotels listed on this blog post.